The land of Israel is a special and sacred place for those who believe in the Bible. The ingathering of the Jewish people into the land and the restoration of the land itself is the unfolding of Bible prophecy… “The waste land and the dry places will be glad; the lowland will have joy and be full of flowers. It will be flowering like the rose; it will be full of delight and songs; the glory of Lebanon will be given to it; the pride of Carmel and Sharon: they will see the glory of the Lord, the power of our God,” Isaiah 35:1-2. This is one of the most beautiful prophecies before the “Coming of our Lord” in the Bible and concerning Israel is that of the desert blooming after the Jewish people return to the land. It begins with “the wilderness (wasteland)” and the solitary place shall be glad for them …and the desert shall rejoice …and “blossom as a rose!” It shall “blossom” abundantly and rejoice even with joy and singing. The “glory” of Lebanon shall be given unto it …and the “pride” or “excellency” of Carmel and Sharon …they shall see the “glory” of the LORD, and the “excellency” of our God! Isaiah’ prophecy tells us that the "glory" of the desert or wasteland will be the "glory of Lebanon." Lebanon is a mountain range area which can store water in solid form as snow. This is mentioned in Jeremiah 18:14. In between the mountains is a valley, rich in agricultural products. The cedars of Lebanon appear often in the Scriptures, and fine wood was used in building King Solomon’s Temple in Jerusalem (1 Kings 5:6). 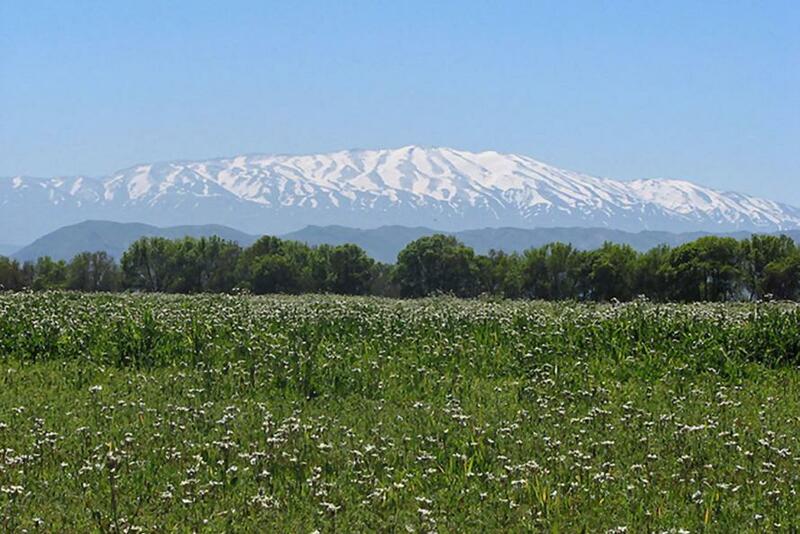 Also, many plants grow in the valley of Mount Hermon and are mentioned in Psalm 133:3 as the "dew of Hermon." The glory of Lebanon therefore includes water that makes strong trees and supplies irrigation for the crops and flowers of Mount Hermon. This change on the earth is described as… "the pride of Carmel and Sharon." Carmel is at the foot of Mount Carmel and green plants grow there all the time. There are three areas of Sharon in the Bible but mostly refers to the region adjacent to Lydda which is the broad, rich tract of land between the mountains of Judea and Samaria (so-called West bank) and the Mediterranean Sea. The Bible is very clear about Israel becoming a nation again after the re-gathering of the Jews into their homeland (Ezekiel 37:11-13) …after thousands of years living in other nations where their Jewish culture remained intact. The miraculous rebirth of Israel as a nation in 1948 (Ezekiel 37:10-14; Isaiah 43:5, 6; 66:7-8) where Israel became a nation literally in one day …just as God said it would! This prophecy literally kicked off the beginning of the last generation. In 1967, Israel re-took possession of Jerusalem for the first time since they were dispersed by the Romans in 70AD. We now that this prophecy will be completely fulfilled when Jerusalem will again be trampled by the gentiles by the revived Roman Empire together with Arab and Muslim nations (Luke 21:20-28) ...until the times of the gentiles are fulfilled! Yeshua will return and crush these nations! 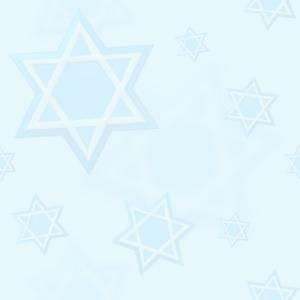 It wasn’t until the Jews started to migrate back to Israel their homeland that the Arab world laid claim to the land. Before that it was of no value to them! The desert land of Israel - the ‘Fig tree’ (Luke 21:29-31) would "bloom" again during this last generation (Isaiah 41:18-21)… This has literally happened in our lifetime! The land of Israel was a worthless, desert place with no value while the Arabs and Turks occupied the land. However since Israel reclaimed its homeland it has become a fertile oasis! This is the most significant sign in the century that the Lord is soon returning! Israel was literally a desert and a land without a soul! Almost 2,000 years of foreign conquerors had abused the land having NO respect for it! Today there are more than 400 million trees in Israel and the rainfall has increased 450% since the beginning of the century when the Jews began to return! Tiny Israel is now the "bread-basket" of the Middle East exporting fruit all over the world just as predicted in Isaiah 27:6. Today Israel grows more than one crop a year just as the prophet Amos foretold (Amos 9:11-13)… and this is a reality! "And you, son of man, prophesy to the mountains of Israel, and say; ‘Oh mountains of Israel, you will put forth your branches and bear your fruit for My people Israel, for they shall soon come,’" Ezekiel 36:1, 8. 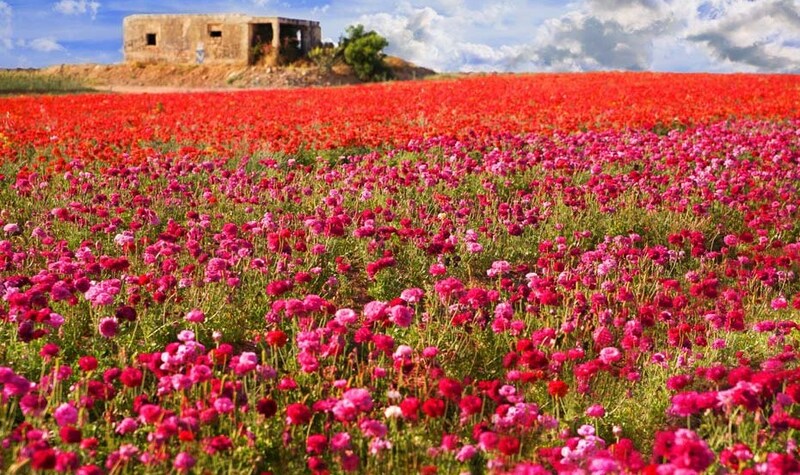 A prophetic sign in themselves since the Judean Mountains east of Jerusalem to the Dead Sea have NOT bloomed like this in all of modern history! "…for in the waste land streams will be bursting out, and waters in the dry places. And the burning sand will become a pool, and the dry earth springs of waters…," Isaiah 35:6, 7. Streams of life-giving water flow in the normally arid and lifeless area of Wadi Kelt, in the Judean wilderness (desert) near the Dead Sea. Israel’s climate and patterns are changing back to those of Biblical times …returning the land to its ancient incredible richness. This shift is due in part to the tremendous number of tree’s that have been planted here and according to experts this is helping to attract rain clouds. It is also fulfilling Ezekiel’s prophecy. Even flowers can be seen growing on top of Masada and this is symbolic of Modern Israel growing out of a fallen kingdom and world wide dispersion (Ezekiel 37:1-14). In Bible times there were two seasons of rain in Israel: the fall (autumn) and winter rains. During the Diaspora the Lord said the was little rain; Hosea 6:3, "Then we shall know if we follow on to now the Lord, His going forth is prepared as the morning and He shall come unto us as the rain, as the latter and former rain onto the earth." The average rainfall between 1931 and 1960 in the northern half of Israel was 21.1 inches (53.6cm) per year. In 1980 the average rainfall in Israel was 29.1 inches (73.9cm), an increase of approximately 40%. The amazing phenomenon about the rainfall increase is that the percentage of increase of rain has matched the percentage of increase in Jewish population! 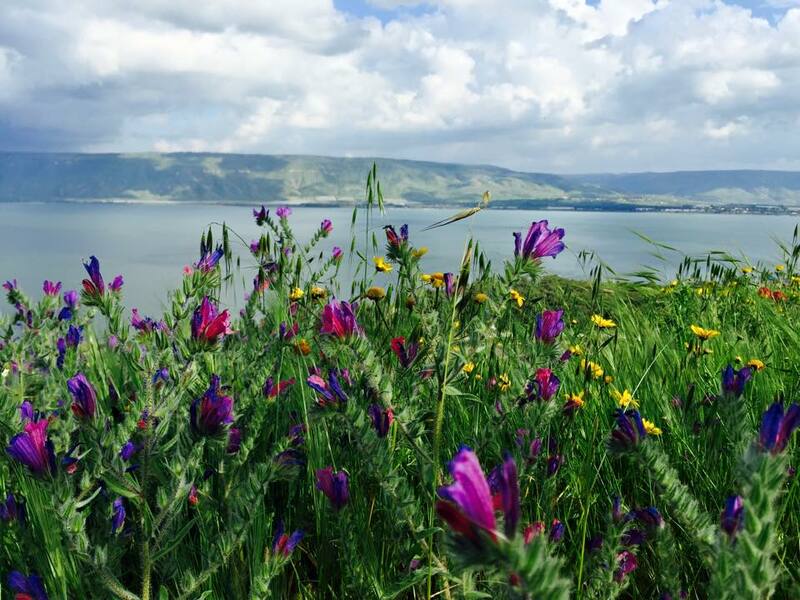 90% of Israel’s water needs come from the Sea of Galilee, a relatively a small body of water. Without the Sea of Galilee there would be no Israel. Yet, the Sea of Galilee remains full! The water is very clean and pure and even as the Jewish and Arab population has increased significantly there is amazingly enough water for industry, household and irrigation usage! The prophet Hosea also prophesied that the former rains and the latter rains would be restored to Israel in the time that the Messiah would appear! Yeshua (Jesus) said; "I am the rose of Sharon, a lily of the valleys," Song of Songs 2:1. Consider the "Rose of Sharon"… Of all the flowers that God has made, the rose, take it all in all and is the loveliest and the sweetest. It has three things in perfection — shape, colour, and fragrance. Indeed, we may call it the "Queen of Flowers." Now, it is in its sweetness especially that the rose reminds us of Yeshua (Jesus). A Rose is the offspring and fruit of a good, though seemingly dry root. Christ, touching his human nature, is the offspring of David, or "a rod out of the stem of Jesse, and a Branch shall grow out of his roots," Isaiah 11:1. 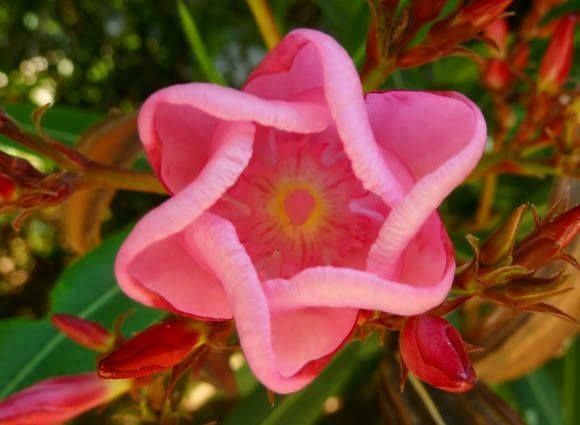 It is a beautiful flower, very pleasant and delightful to the eye, of different colours, red and white, and in some curiously joined and inter-mixed together, red and white …shows an excellent complexion, and makes up a perfect beauty. Christ is said to be "white and ruddy" Song of Solomon 5:10 thereby being His two natures …by the white His divinity and by the red His humanity! The one denotes His natural purity and innocence and the other His bloody agony and suffering for our sakes …as we read in Isaiah 63:2, "Why is your clothing red, and why are your robes like those of one who is crushing the grapes? No object so delightful to the eye, as Yeshua (Jesus) is in His exaltation …appearing at the Father’s right hand for us. The true and evangelical sights of Christ delight the eye and ravish the soul of a believer. Christ is a perfect and complete beauty just like a Rose is a fragrant and sweet flower; it yields a most excellent scent. This may hold true of every sort of Rose, and it is such a one that our Lord compares Himself unto. Yeshua (Jesus) yields a most fragrant and lovely savour. What is so sweet and refreshing to the spiritual sense of the soul, as the merits and saving graces of Christ…? "Your Name is as ointment (perfume) poured out," Song of Solomon 1:3. The Rose is called by naturalists the "queen of flowers" …none to be compared to it. Christ infinitely excels all others, whether angels or men; NONE are to be compared to Him. He is the Head …the flower and glory of things in heaven …and of things on earth …and of things to come! "You are fairer than the children of men," and "the chiefest among ten thousand," Psalm 45:2; Song of Solomon 5:10. The Roses that grew in the plains of Sharon, in Israel, were the best and chiefest of Roses… they were singular in beauty and property. Christ is singular, touching the unity of the two natures in His Person, singular in His incarnation, in His humiliation in His conquest and exaltation. The Rose of Sharon signifies the "flower of the field"… Sharon was a place or plain wherein King David’s herds and cattle were fed; 1 Chronicles 27:29. Roses that grow in a field are NOT planted by man …and indeed do lie open to beasts, to be spoiled, plucked to pieces, or trodden down. Yeshua (Jesus) was NOT planted by man …but by the hand of the Father! When brought forth into the field of this world and plucked to pieces, as it were, and trodden under feet? He was laid open to almost all manner of sorrow and suffering; Isaiah 53:3-5. The Roses of Sharon grows “free” in the fields so that anyone might have access to them unlike other flowers that were in close and secret gardens. Isaiah 55:1, “Ho! Everyone in need, come to the waters, and he who has no strength, let him get food: come, get bread without money; wine and milk without price.” And we also read in Revelation 22:17, “And the Spirit and the bride say, Come. And let him who gives ear, say, Come. And let him who is in need come; and let everyone desiring it take of the water of life freely!” Yeshua (Jesus) is a fountain opened …the good that is in God is no other ways communicated to mankind, but in and through Him! Roses, Lilies of the Valleys and other delightful flowers of the field, are the beauty and glory of the field …they clothe the grass. The Son of God is the beauty and glory of mankind, by assuming of our nature into union with Himself. It is He who is the crown of mortals, sitting in glory at the right-hand of the Majesty in Heaven. Sharon was a place of pasture, a place of feeding, where the flocks used to rest… a very fruitful valley. Christ is to be found in green pastures, in His churches, where His word is truly preached, and sacraments are duly administered: “He makes me to lie down in green pastures, Psalm 23:2. Christ is a Rose that NEVER fades, He remains in His full beauty and glory throughout all generations and never loses His savour so if He does not smell so sweet to our senses …it is because our spiritual senses are decayed and the cause lies in us, not in Him; “Jesus Christ the same yesterday, and to day, and for ever,” Hebrews 13:8. A Rose may be taken, presented, given, and received, by a human hand …but Yeshua (Jesus) is taken, presented, and given by a divine hand. The hand of God himself: “For God so loved the world, that He gave His only begotten Son,” John 3:16. He is not otherwise received but by faith, the spiritual hand of the soul. We can have the same Rose entirely to ourselves and at the same time someone else too. Yeshua HaMashiach - Jesus Christ, the Rose of Sharon! 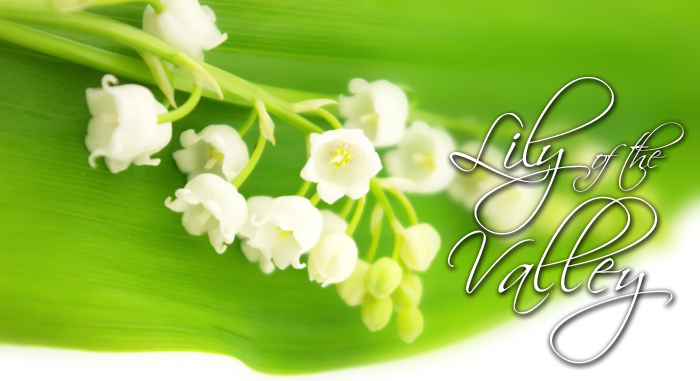 Consider the “Lily of the Valley’s”… and what the second title of Yeshua means …and what it is intended to teach us. Supposing that “the Lily of the Valleys” is the flower that reminds us how graceful it is …with pretty little white bells ranged in a row on a tapering stalk …and how it appears to hide itself modestly under the shade of its broad green leaves. Now, why was it chosen by our Lord…? Partly because the lily is of a beautiful white colour which represents purity and this is what Yeshua (Jesus) is. The Bible mentions “Lilies” 15 times in 15 different verses… Of these 8 of them occur in the Song of Solomon. Perhaps the most memorable verses are the following; Song of Solomon 2:1, “I am the Lily of the Valleys”; 2:2, “as the lily among the thorns so is my love among the daughters”; 6:2, “my beloved has gone down into his garden, to the beds of spices, to feed in the gardens, and to gather lilies” and Hosea 14:5, “I will be as the dew unto Israel: he shall grow as the lily and cast forth his roots as Lebanon” and Matthew 6:28-29, “And why are you anxious about clothing? Consider the lilies of the field, how they grow. They do not toil, nor do they spin, but I say to you that even Solomon in his glory was not arrayed like one of these.” Here in these verses, we learn several things about “lilies in the Bible” ...they grow in the valleys and the fields …they may even grow among thorns …Sometimes they are cultivated to grow in planted gardens. In speaking of God’s blessing on Israel, Hosea states that “he shall grow as the lily,” Hosea 14:5. This indicates that the lily grows rapidly and commonly in many places. The many places the lily is found in the Bible (valleys, fields, gardens, amongst thorns) show the lily to be a common representation of a wide variety of flowers. The Lily of the Valleys in Song of Solomon 2:1 is a type of Yeshua! 1: A lily is a sweet and a flagrant flower with a strong scent. The Lord has a sweetness in His Ministry especially when He "gave Himself for us an offering and sacrifice to God, for a sweet smelling savour /aroma." 2: A lily is white and very beautiful; exceeding all other flowers for whiteness! Within it are seven grains or seeds that are the colour of gold. White is a picture of purity (Revelation 3:4). The bride of the Lamb will be clothed in white (Revelation 19:8). What better representation of Yeshua (Jesus) the one "who new no sin" (2 Corinthians 5:21), "who did no sin" (1 Peter 2:22), who was tempted "yet without sin" (Hebrews 4:15) and who "in Him is no sin" (1 John 3:5) …that a beautiful white lily…? "For such a high priest became us who is holy, harmless, undefiled, separated from sinners, and made higher than heavens (Hebrews 7:26). 3: A lily is very fruitful; one root may put forth 50 bulbs. Through the death and resurrection of Yeshua (Jesus) He brings forth much fruit (John 12:24). It is by bearing much fruit that He glorified the Father (John 15:8). 4: A lily according to the ancient writer Pliny is the tallest of flowers and yet it hangs its head down! This is a beautiful picture of the greatness of the Son of God matched only by the greatness of His humility (Philippians 2:6-8). 5: The lily has many medical qualities. According to ancient teaching it could be used to restore a lost voice, help faintness, was good for the liver, and helped dropsy. The Lord Yeshua (Jesus) is the "Great Physician" and is fully capable of curing all diseases and sicknesses of the soul. Certainly the "Lily of the Valleys" is a type of Christ! Never at any time did He think …or say …or do anything that was wrong. Christ as a child, as a boy, as a man …He was absolutely free from fault! 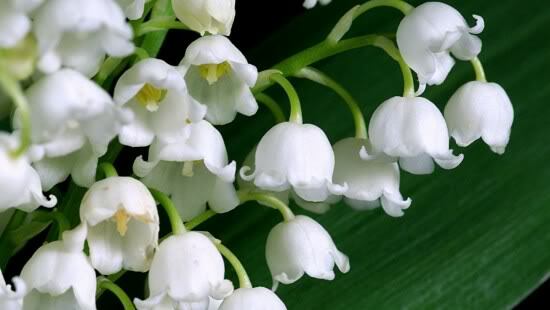 But, the lily of the valley because it has a drooping head …and retires behind the shade of its broad green leaves, instead of thrusting itself forward …an emblem of lowliness or humility, reminding us of the Yeshua (Jesus) the Lily of the Valleys! What God has set in motion; NO man, NOR curse, NOR any nation can stop His plan for Israel! For example; King Saul and his sons all fell on Mount Gilboa in a battle between Israel and the Philistines. Saul critically wounded begged his armour-bearer to run him through with his sword. Terrified, the soldier refused …so Saul took his own sword and fell on it! (1 Samuel 31:1-4) When he heard this, David wept bitterly. Heartbroken at the loss of his king and best friend …he cursed the mountains of Gilboa, “O mountains of Gilboa, may you have neither dew nor rain, nor fields that yield offerings of grain,” 2 Samuel 1:21. 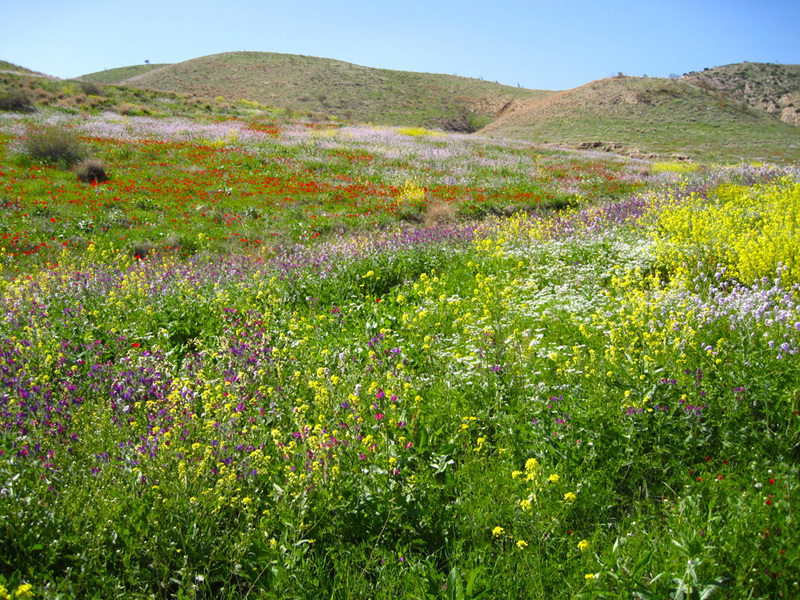 If you visit the Gilboa in winter or in spring, the mountain’s masses of wildflowers seem to contradict the curse! 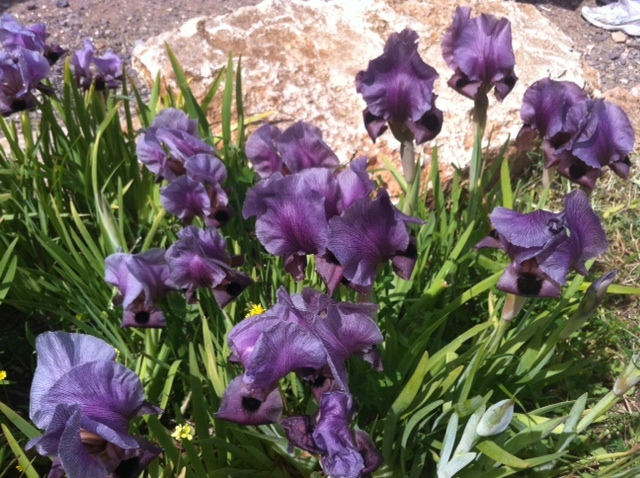 The Gilboa Iris Nature Reserve is filled with exquisite Gilboa Irises in early spring with numerous shades of purple and some other colours as well. 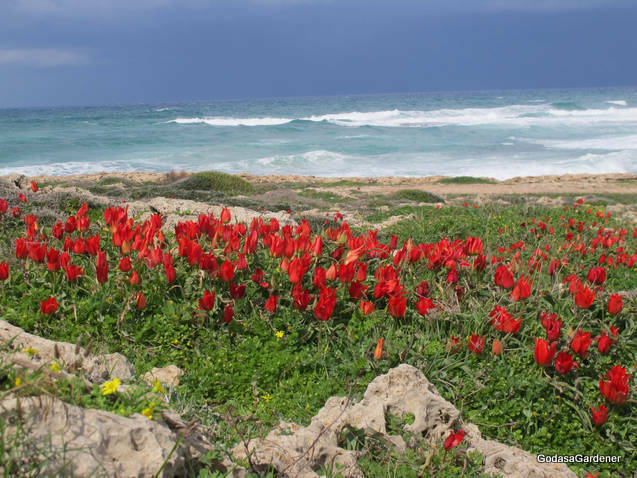 Because of their name you would think that this is the only place on which these gorgeous blooms can be found …but actually they also grow in the Judean desert and near Ein Gev …but in a smaller quantity. The signs of the flowers, the blooming of the desert and the fruitfulness of Israel are here in our generation and we are privileged to witness Israel back in her land! This was only what the prophets and disciples could write about – we are the ones experiencing it now! In Luke 19:11, we see that the disciples believed that Christ’s kingdom was about to be established on earth. Yet, they didn’t realize that there would be a long period of time between Christ’s First and Second Coming …the period we are living in right now! They must have been disappointed when they discovered that! Their disappointment was far outweighed by the certainty that Christ’s kingdom WILL come someday. Do you look forward to Christ’s return…? Meditate on Revelation 21 and 22, and specify what you look forward to in the soon coming kingdom. We must always keep “eternity” in mind in everything and never allow present difficulties or circumstances make us lose sight of the great future God has in store for all of us!